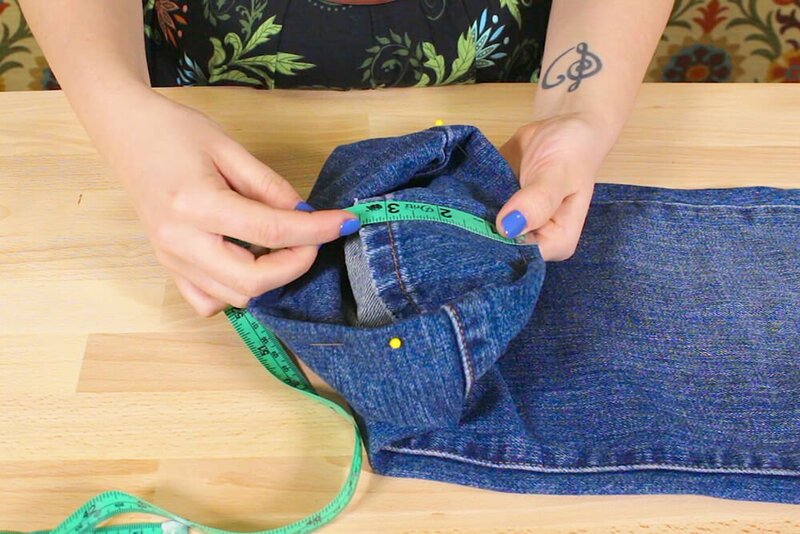 In this tutorial I’ll be showing you how to hem a pair of jeans using the original hem line. 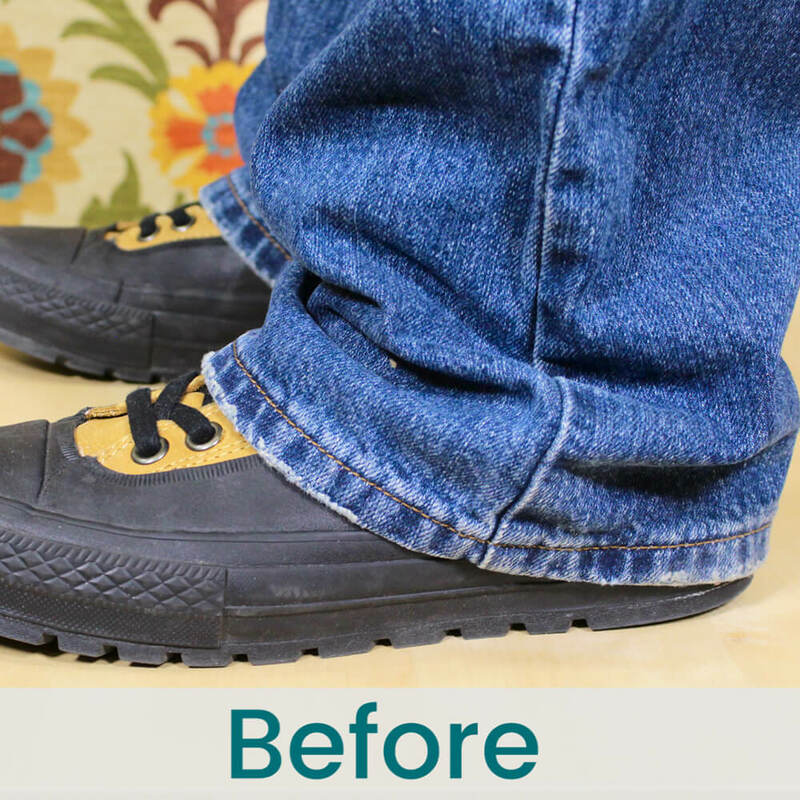 By using this method, you can’t even tell that the jeans were hemmed. 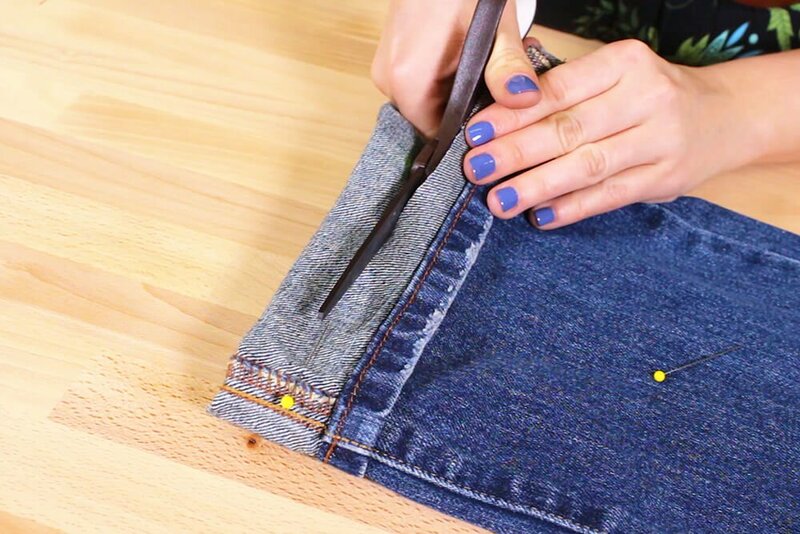 If you’re not finishing the hem immediately after pinning, you’ll want to use safety pins. 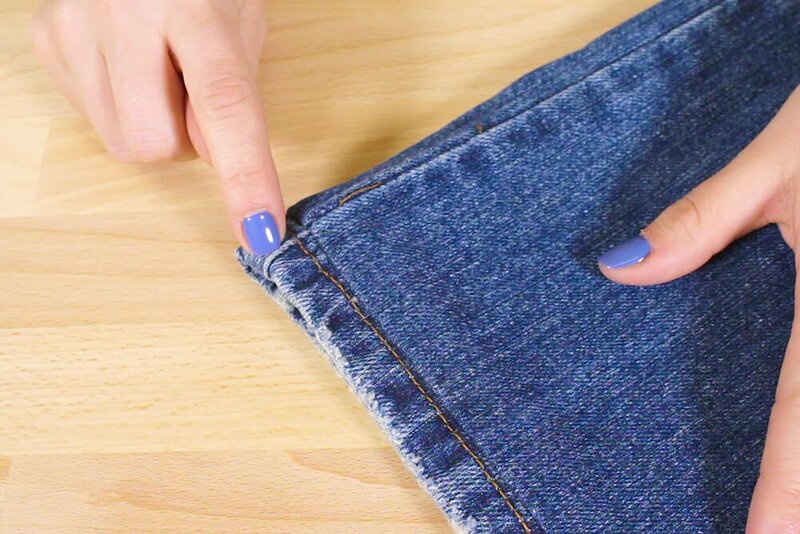 Fold the hem under until it reaches the length you want and pin around the leg. 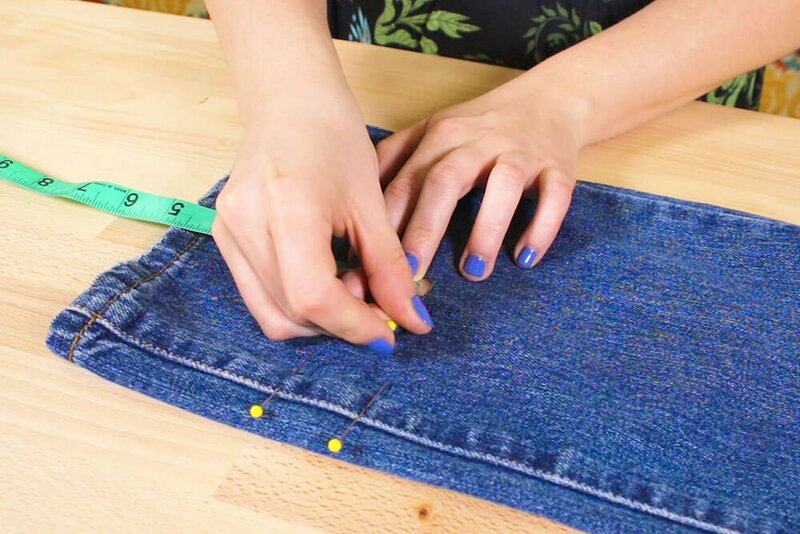 Make sure you’re wearing the shoes you’d most likely wear with these pants, and make sure they’re sitting on the waist where you want them to. 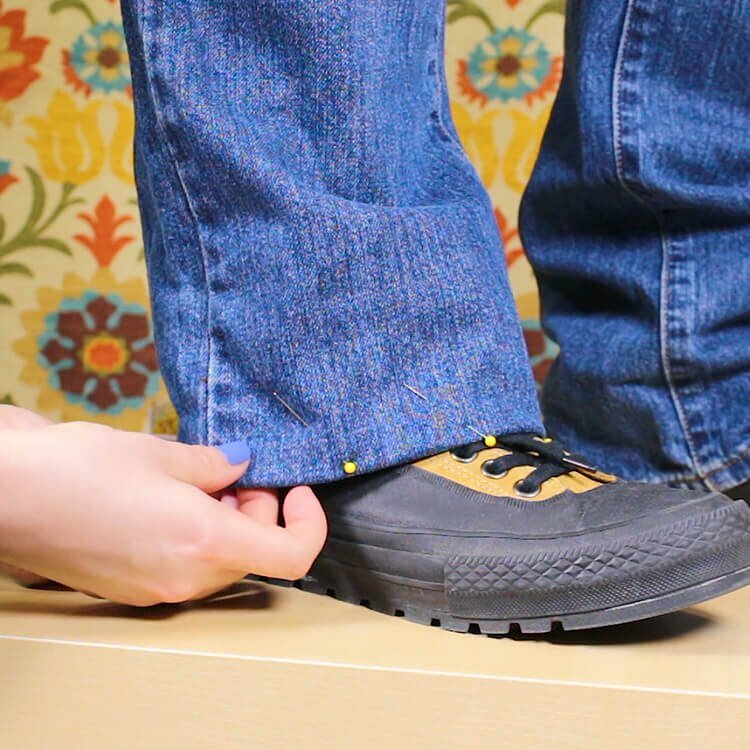 Skinny jeans or tapered jeans are typically shorter, so try them on and pin them where you want them to sit. 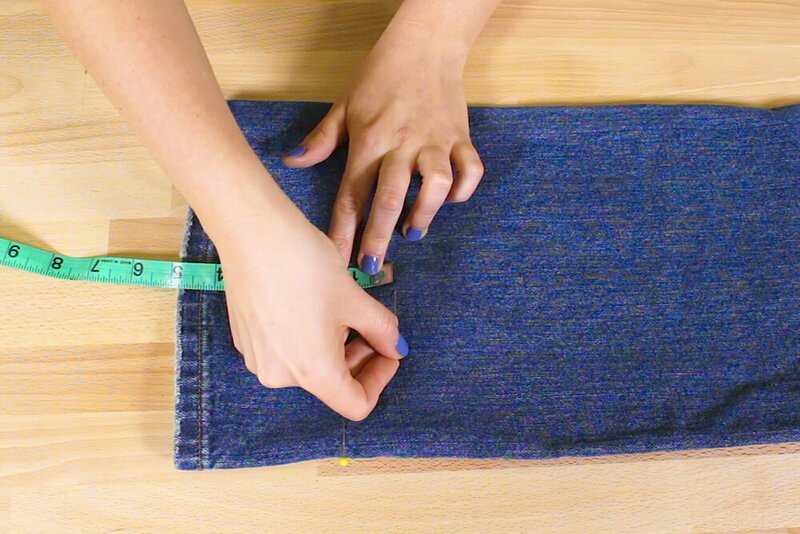 Measure the amount of excess fabric on the inside of the jeans. 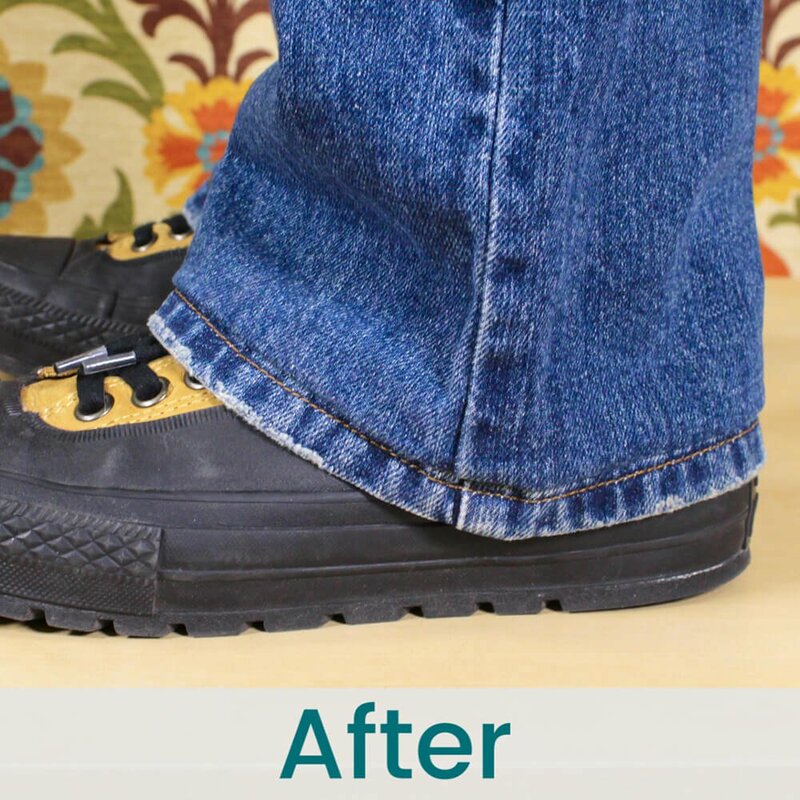 These pants have 3 and 1/2 inches extra. 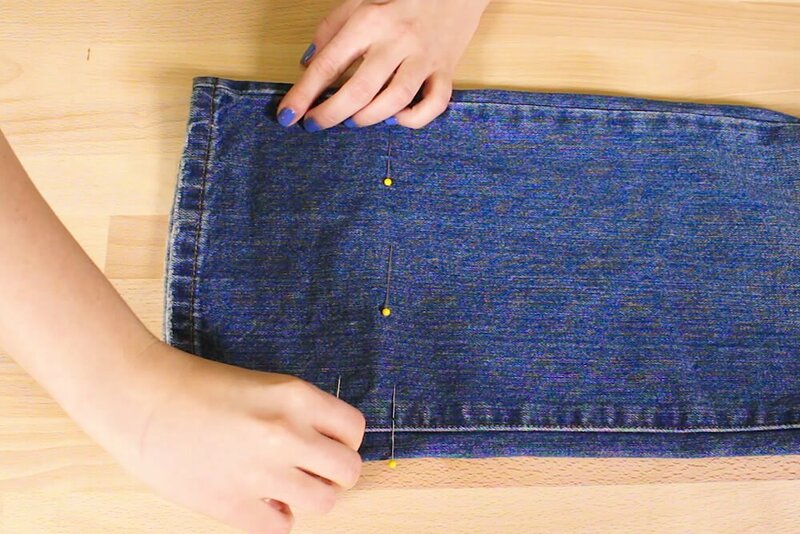 Take out the pins and unfold the jeans. 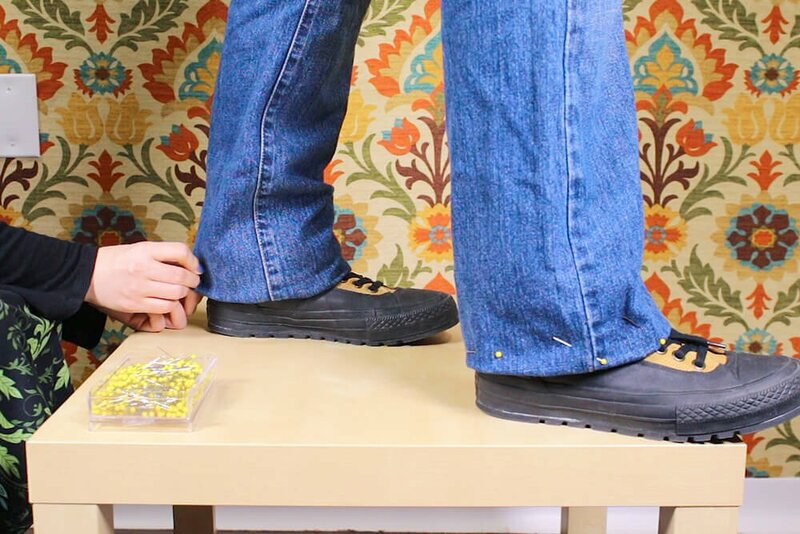 Using your measurement (3 and 1/2 inches for me), measure up from the bottom of the leg and pin. 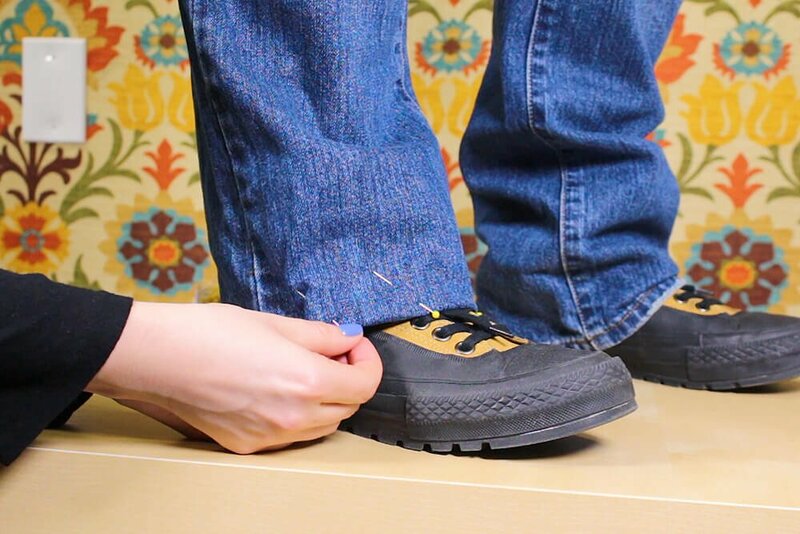 From this row of pins, measure up 1 inch and pin again around the leg. 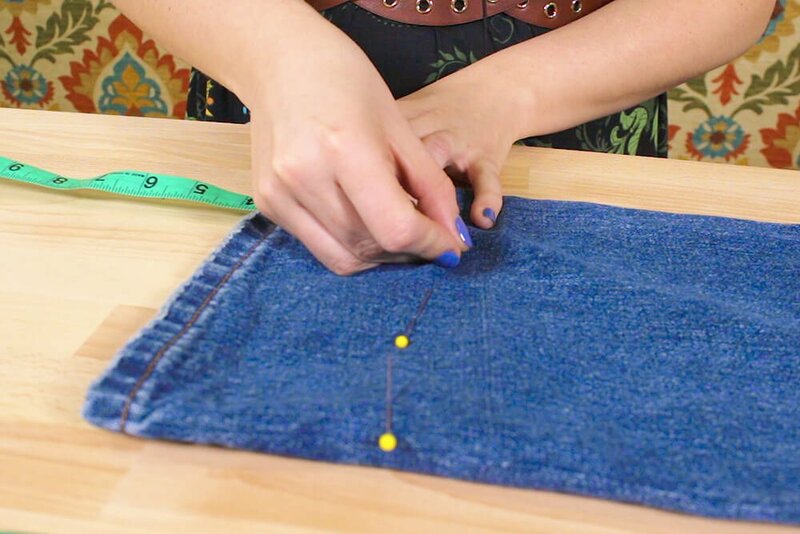 This second row is for the seam allowance when you move the hem up. 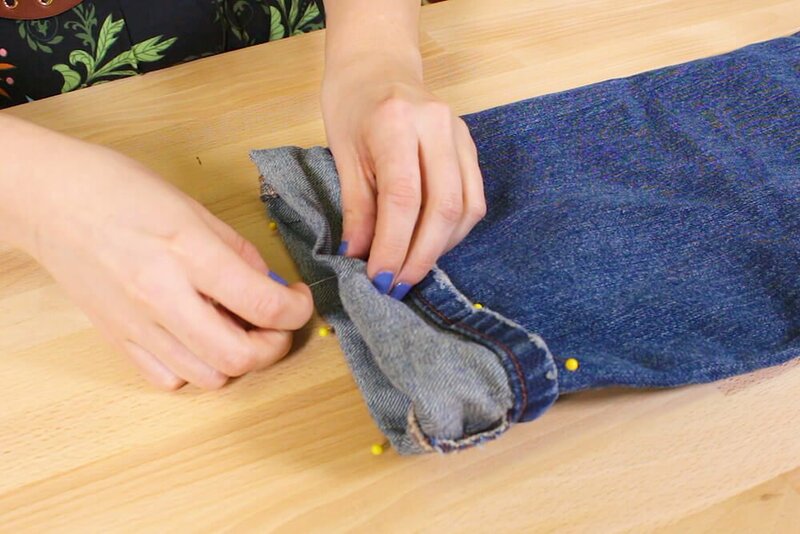 Once the second row is done, take out the first row of pins. 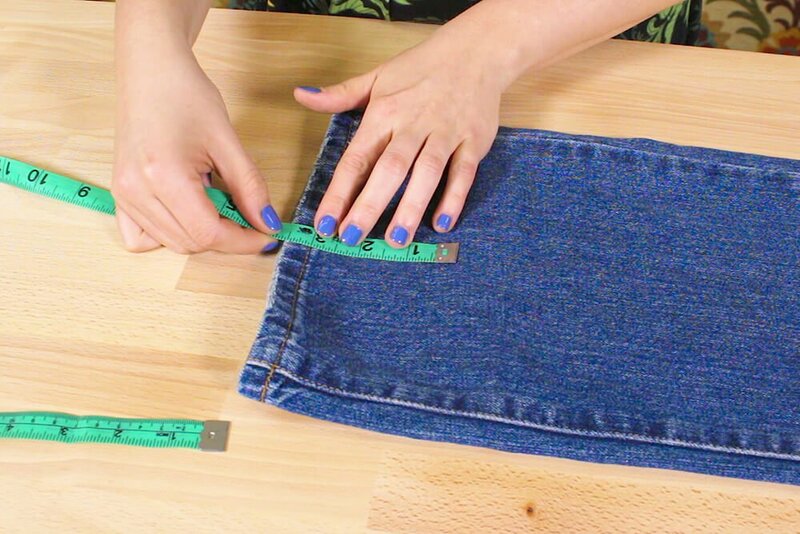 Before sewing it’s a good idea to try them on to make sure the length is right. 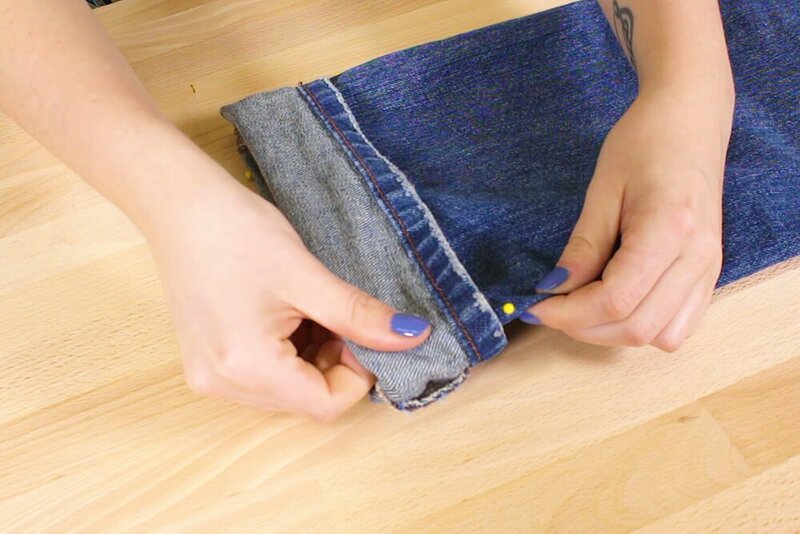 Fold the hem up so it’s right below the pins, and pin it down around the leg. 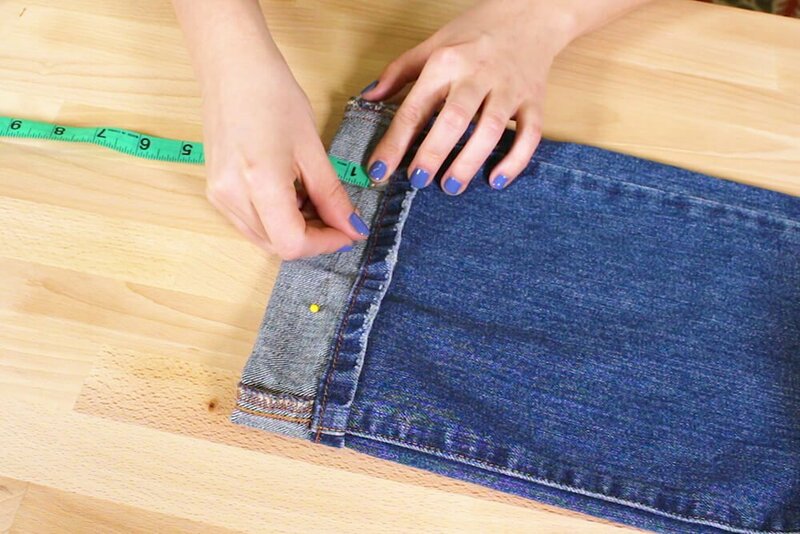 Make sure to pin right on the edge so when you’re sewing you don’t hit the pins. 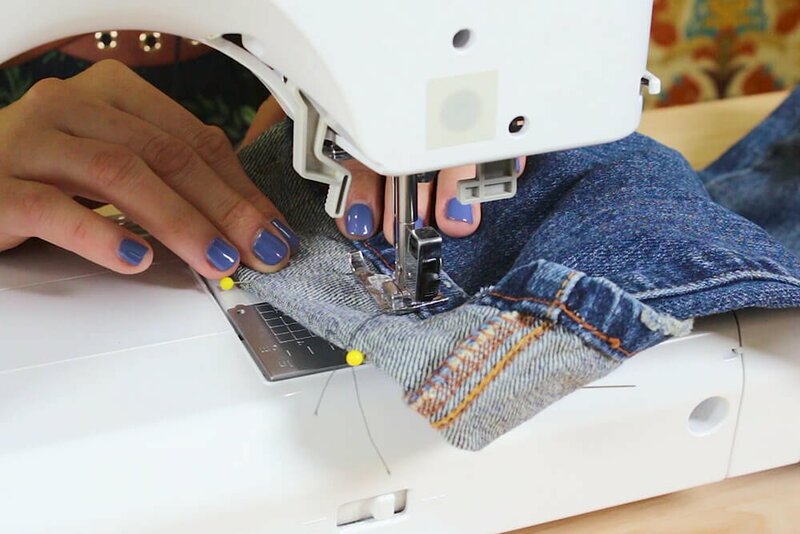 Now you can take out the original row of pins. 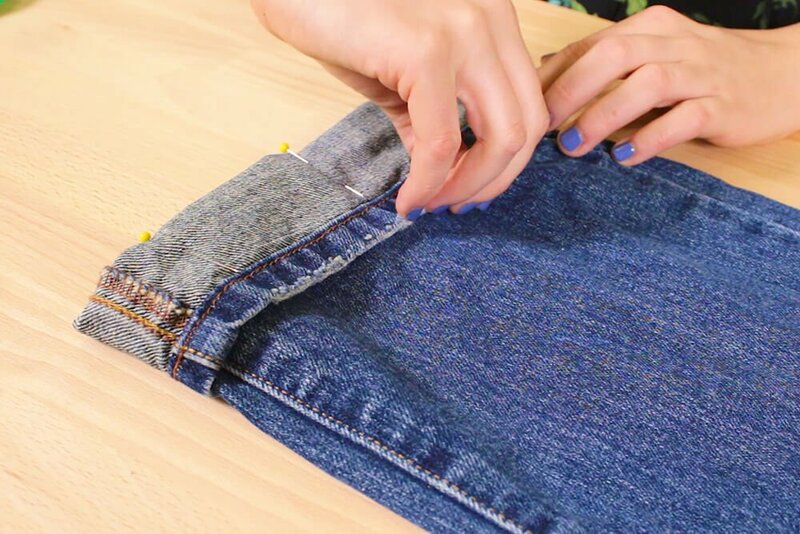 Stitch around the hem on the inner seam line. 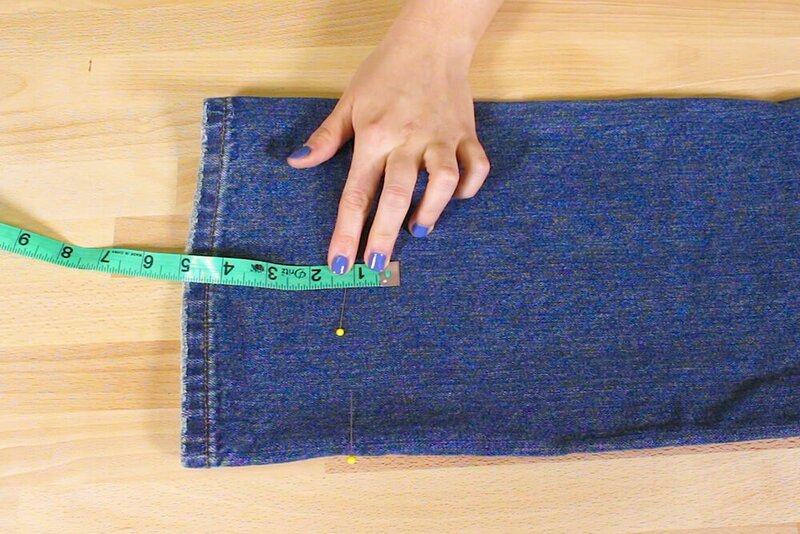 From the inner seam line where you just stitched, measure down 1/2 an inch and pin on one side of the leg. Cut across just under the pins. 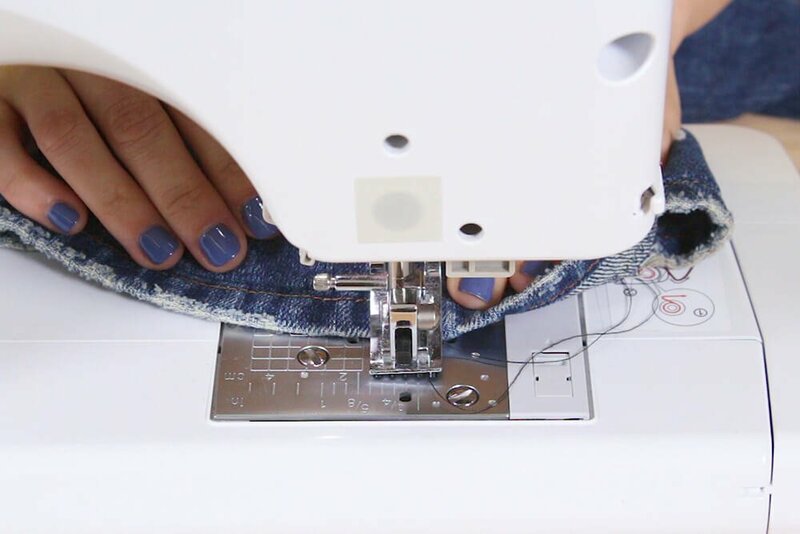 If you have a serger, serge along the side of the raw edges to give it a nice finish. 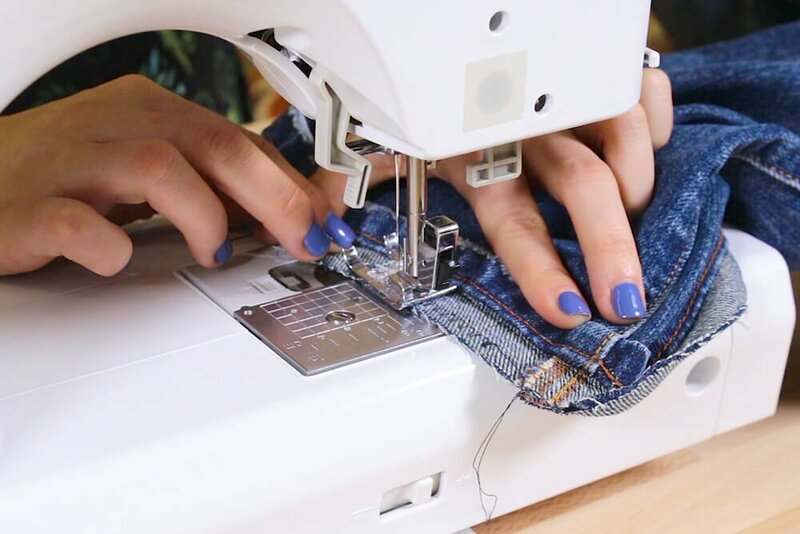 If you don’t have a serger you can use a zig zag stitch. 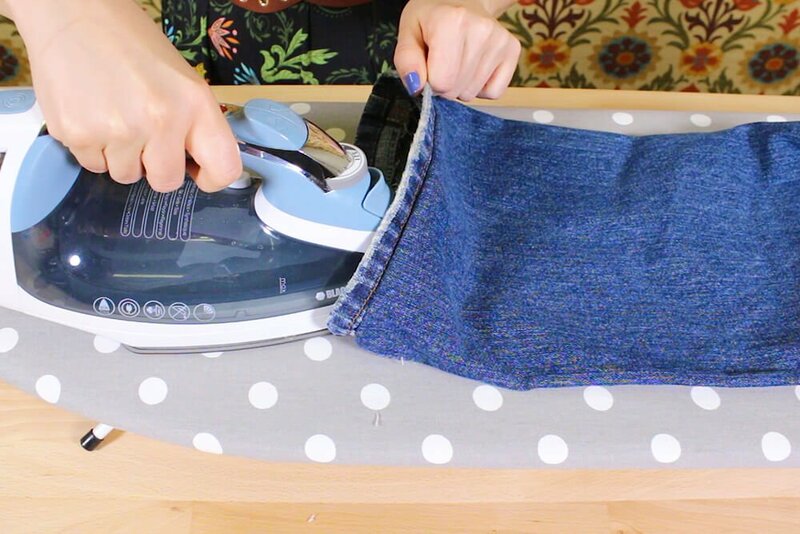 Unfold the hem and iron the inside seams. 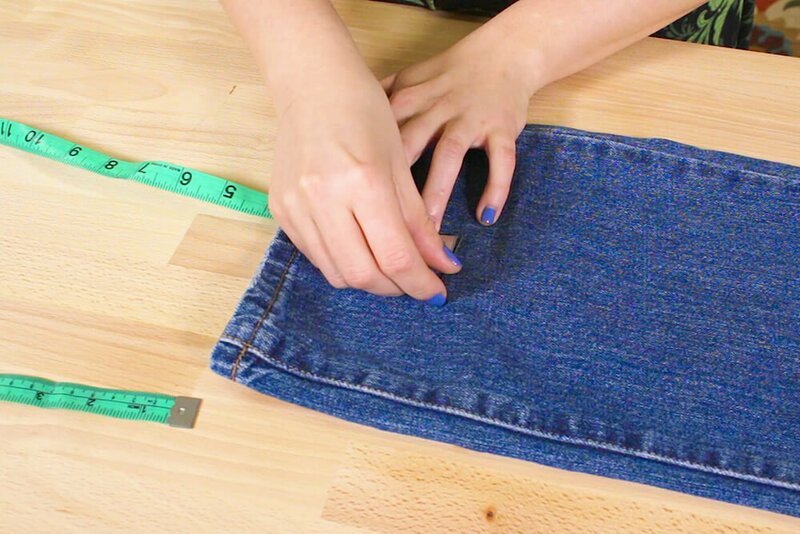 Make sure the seam you just stitched is facing upwards. 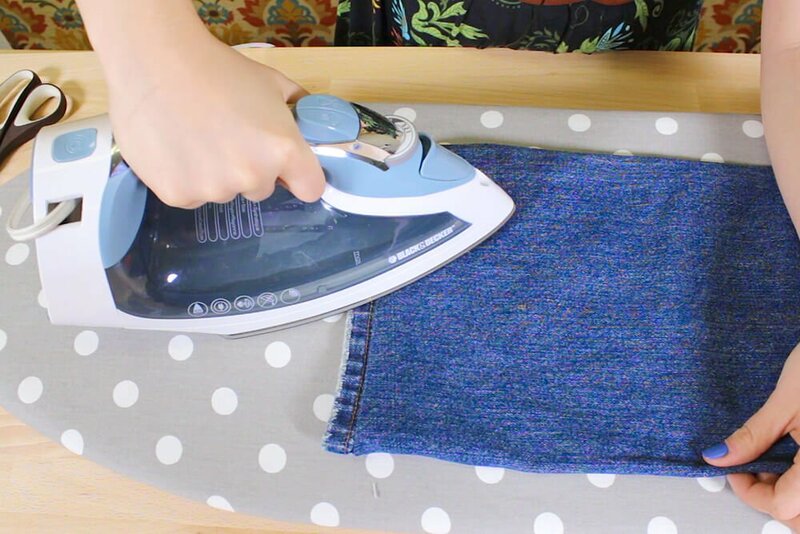 Also iron it on the outside. Now just tack down the side seams, about a 1/2 inch on each side.